The Women’s World Summit Foundation (WWSF), one of the UN’s advisory arms in women’s affairs, has presented its award for Women’s Creativity in Rural Life to Ziba Azizi from Sistan and Baluchestan province, south-eastern Iran. Ziba Azizi, who was born in Azizabad County of Qasr-e Qand district in Sistan and Baluchestan province, was introduced a few days ago as one of the UN role models and the most inspiring rural woman in Iran. 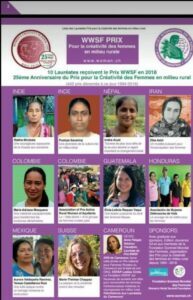 Some other women from Nepal, Honduras, Colombia, India, Switzerland, Guatemala and Mexico were among the laureates of 2018 Women’s World Summit Foundation’s awards for Creativity in Rural Life. Azizi has been addressing and raising awareness on issues like child marriage in her community, where it is still widespread. According to the WWSF, she’s been engaged in distribution of stationery in dozens of schools, the fundraising and supervision of the construction of restrooms in deprived rural areas (which is especially important for women), preventing 30 cases of child marriage (each case demands many hours of negotiating with the families involved), and finally teaching needlework, one of the traditional weaving handicrafts made by Baloch women, to destitute women. 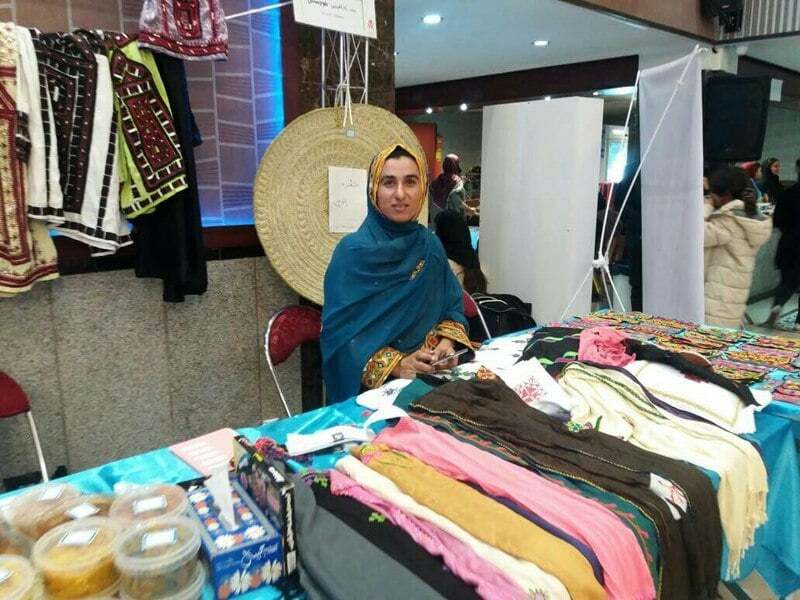 Ziba has even been able to market the products, combining them with modern art and selling them under the brand name “Noora”, thereby creating job opportunities for many women who head their families and are in critical need. 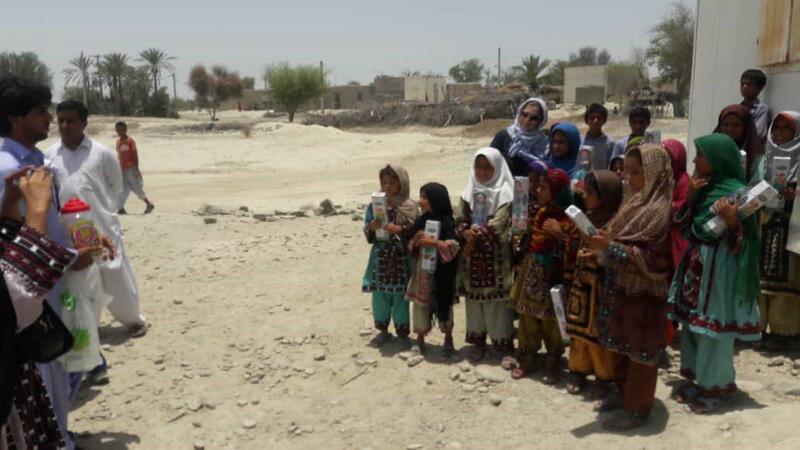 Maybe most important of all, Ziba started an International Association of Psychosocial Rehabilitation Services in one of the most impoverished rural areas of Sistan and Baluchestan, which has provided education for children who receive no education. The centre is called House of Knowledge, where a new culture is being born, one giving equal rights to girls as well as boys to be educated. Ziba’s parents got an ID card for their nonexistent girl in 1983 to receive more ration coupons. A few years later, Ziba was born on the last night of holy month of Ramadan. She was five years old when her family moved to the village of Deh Jan, which in Balochi language means “The Premier Woman”. They moved there to have less troubles in life, along with her father’s family in the absence of the father. Ziba’s father at that time had gone to Dubai to cover their living expenses. After the arrival of these teachers, despite her mom’s disagreement, Ziba and her aunt were the first girls attending the school with the permission of her grandfather. After finishing the elementary school, she went to another village to continue her studies with the support of her grandfather. She used to get up early in the morning to walk several miles. At the same time, Ziba decided to change the lives of the girls in the village and her siblings so that the hardships she experienced would not be repeated for them. Ziba finished high school to become the teacher of illiterate people. Then, she started helping girls and women who could not go to school. Beside teaching, she continued her studies in social sciences. The university gave her the chance to make her childhood dreams come true. At the same time, her father, who was busy with domesticising camels in Dubai, had his ribs broken and returned from Dubai. Now, in addition to helping her mother, she had to work in farm as well. “No one was calling me Yaghoub’s daughter anymore. They were calling me Yaghoub’s son. In addition to giving financial assistance to my family, I received a loan and expanded my father’s house so that my sisters and brothers could have their own rooms,” adds Ziba. Gradually, charitable groups came to the village and Ziba did her best to convince them she is determined to help improve the lives of the villagers. Finally, they sent her to Qasr-e Qand as a trainer. Ziba continued her activities. Her successes and her growing influence in the region led the United Nations to choose her as one of the world’s leading rural role models.